Ver y important, we need to relay and gather all the information possible to develop new ways of making inclusive bilingual deaf theatre sign language and spoken.The deaf artistic community is a rather small world, but we hope to make links between them all over Europe. Perhaps you can help us, it takes just a few minutes of your time. 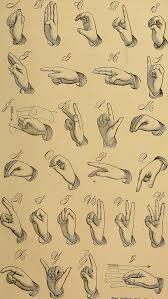 We are looking for information about deaf theatres and deaf actors in your country. Do you know such an organisation, theatre of dance group? Or an individual deaf actor? Please let us know by filling out the very basic information below and reply. Of course, the more organisations the better.